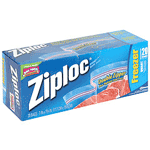 Currently (at the time of writing) Ziploc’s are $2.00 each at No Frills and, wait for it…. If customers use this $4.00 WUB2 coupon** they will get 2 boxes for free. Customers have until March 24th 2011 to use this offer as the sale on Ziploc’s ($2 each) ends then. And if you want to know how far you have to travel for the nearest No Frills store you can do it here. ** Note. The coupon is hosted at rightathome.ca, it’s owned by Johnson and won’t let us host the coupons, so customers will need to quickly register with their site to be able to print the coupon. Customers can choose not to receive email updates from them and if you ever do receive an email from them you should be able to opt out at any time. I ordered them online but never got them! You do realize that this was written a month ago ;) well done for checking the date it was published before commenting and looking a little silly. Offers go fast, try to be quicker next time.